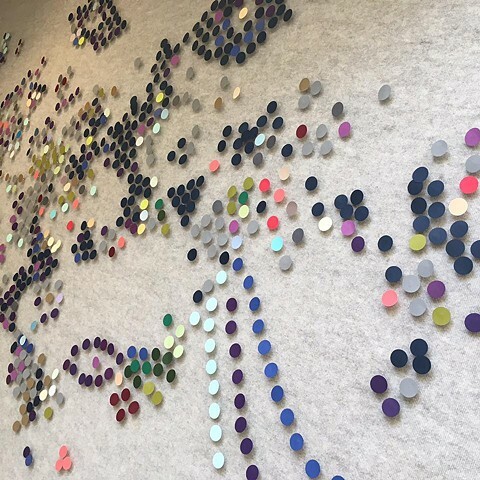 MEGHAN AMBRA - "Elevated" Circle Installation. A closer look at how light effects color: How light, whether natural or artificial, direct or indirect, influences and effects how we perceive actual color. Directional light source(s) and cast shadows. How light, whether natural or artificial, direct or indirect, influences and effects how we perceive actual color. Directional light source(s) and cast shadows.